I love vegetable tarts, you can play with different fillings and it’s difficult to find one that doesn’t work and this one is no exception. 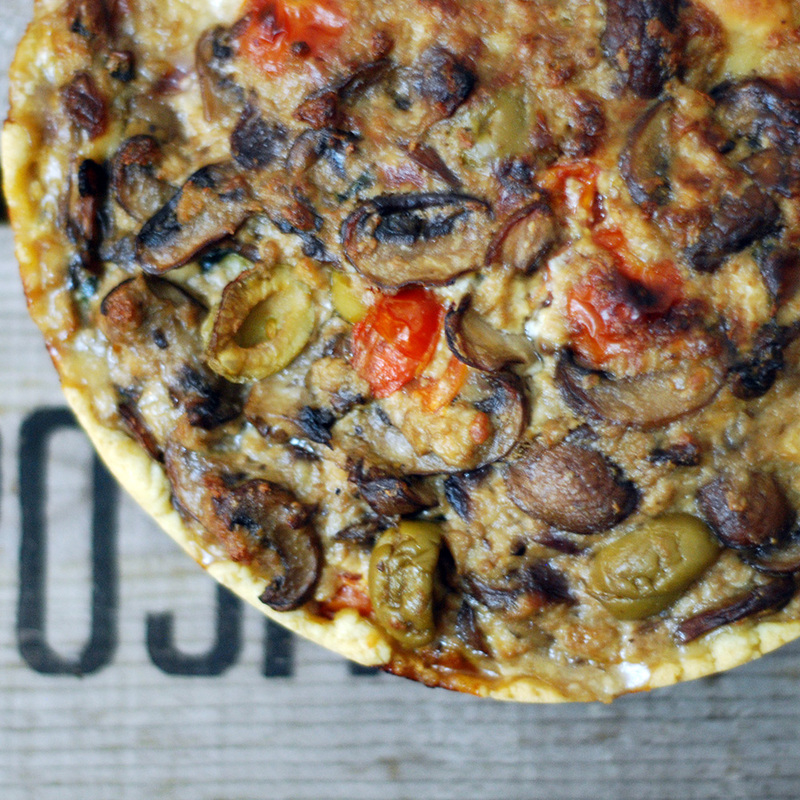 Mushrooms, olives and tomatoes go extremely well together. These delicious, comforting tart going to make you smile. Give it try, you’ll love it. Using your fingers bring the flour and margarine into a dough. Open the dough on a 24cm round spring form baking pan with a 1cm height on the sides. Fry the onion on the vegetable oil on low fire for about 5 minutes, stirring from time to time. Add the mushroom, tomatoes and olives and cook it for 10minutes. Add the seasoning, parsley and vegetable cube and stir for about 5 minutes. Pour the single cream and the vegan cheese and stir for another 2 minutes. Pour the mixture into the baking tray and cook it for 30 minutes at 180c.